Nelson: Hello everybody, Nelson Vergel here with ExcelMale.com. I’m very happy to have Dr. Lawson from the Washington DC area. She’s a long term friend of Excel Male and the work we do with men’s health and testosterone replacement therapy, among other things. Dr. Lawson is the founder and the Medical Director of Proactive Wellness Center of Vienna, Virginia. The center was founded in 2006 and is one of the leading anti-aging and functional medicine specialty practices in the Metropolitan DC area, serving patients from Northern Virginia and Maryland, Washington DC and surrounding areas. Some people even fly over a thousand miles to see Dr. Lawson. Lawson specializes in treating men and women with hormone replacement, weight management, and a functional approach to treating and preventing chronic disease and therapies to reverse the symptoms of aging and enhancing overall wellness and longevity. Dr. Lawson is a Board Certified in anti-aging and regenerative medicine with the American Board of Anti-Aging and Regenerative Medicine and is a board certified anesthesiologist (retired) and an avid researcher. 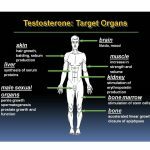 She’s here today to share with us aspects of testosterone replacement therapy and beyond that we usually do not consider either when we’re thinking about starting therapy or when we’re [monitored 00:01:39] while we’re doing testosterone replacement. Welcome Dr. Lawson. Thank you so much for volunteering for this new experiment we’re doing today, showing the PowerPoint slides while you’re speaking. Thank you so much and welcome. Lynese: Thank you so much. I’m happy to be here. Nelson: Why don’t we start with your first introduction of the slides and what your topics will be? Lynese: Good. Today, we’ll be talking about low thyroid function, insulin resistance, heart disease prevention, and CIRS. That standards for chronic inflammatory response syndrome. Nelson: Why are these different topics important to consider in men beyond TRT? Why don’t you go through the first one which is low thyroid? Lynese: A lot of men come to me and they really are fatigued. They just don’t have the zest that they have for life. 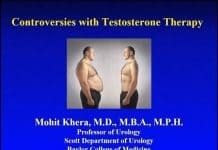 They think that testosterone replacement therapy is the only answer. Oftentimes, that does make a big difference but many times, people suffer from hypothyroidism which is low thyroid function. There’s hyperthyroidism but it’s more common to have a patient who presents with hypothyroidism. Hypothyroidism frequently does go undiagnosed though because doctors tend to look only at the lab results and overlook the clinical symptoms of fatigue, difficulty losing weight, cold intolerance, brittle nails. 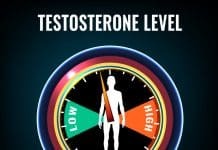 It’s so obvious to me that we have to look at the thyroid, but so many times, physicians just don’t really even ask the questions and a lot of times, they just think that it’s because of low testosterone levels and they ignore the thyroid, but there are certain ways that we have to look at thyroid function and it goes along with doing the right tests. Nelson: Yeah. That’s the tricky part. Lynese: It’s tricky. It really is. When I do a thyroid function panel on someone, I check for the TSH which is thyroid stimulating hormone, the T3 Free, the T4 Free, and the Thyroid Peroxidase antibodies. Now, most doctors just check for a TSH which is thyroid stimulating hormone, as I just mentioned before, but thyroid stimulating hormone is a pituitary hormone and it doesn’t always line up with what’s happening peripherally with the actual thyroid hormones. Now, the T3 Free is one of the most important lab test that we need to look at but most of the time again, doctors will just look at TSH and Free T4 if they look at the T3 T4 Free at all.Many doctors miss a lot of people just by not doing the right tests. Nelson: Before we move on, I just want to make this open discussion. Why do you think there is such a barrier here when it comes to hypothyroidism or hyperthyroidism diagnosis? Why are we using this TSH test as a main diagnosis test when we know we have data that that may actually be not the only indicative factor involved? Lynese: That’s a great question. That’s just the way doctors are taught. They’re taught that way in medical school. They just look at the TSH. For example, the reference range for a thyroid stimulating hormone is .4 to 4.5. A lot of doctors will look at the TSH and if it’s above 3 or 3.5, then they will say, “Oh, you have hypothyroidism. You have low thyroid function,” but there are people who have a TSH at that lower end of that reference range, and again that’s a pituitary hormone so sometimes the pituitary is not giving the best indicator of what’s happening in the body but that’s just the way they’ve been taught and it’s been hard to shift a lot of doctors beyond that teaching that they’ve known for years and years and years. A lot of the integrative doctors these days are doing the right tests to come up with the diagnosis and the other thing is, you look at the labs but you can’t just look at the labs only. A person is not a sheet of paper. You have to look at the labs and you have to look at what’s going on clinically in order to really make a diagnosis. Nelson: Good point. I’m glad you reviewed that. All right. Lynese: Next, I will speak a little bit about treating low thyroid. 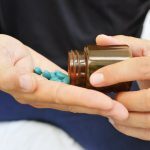 The most common thyroid medication is the T4 medication. 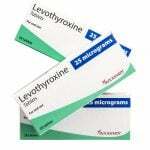 Examples of those are Synthroid, Levothyroxine. Those are T4-only preparations. A lot of people need T3. They’re low in T3. They don’t convert T4 to T3 very well, and a lot of people do not do that, so if you don’t check the T3 level and if you don’t replace it, a lot of times, people won’t get better. There are options for a T3/T4 thyroid medication. We can compound it. We love our compounding pharmacies and I hope they continue to flourish and thrive. Compounding pharmacies can make very specific dosages of T3 and T4. We can get commercial preparation such as Armour Thyroid. That’s a desiccated thyroid medication. Armour’s not the only one. There are other derivatives that have different [pillar 00:07:20] such as Westhroid, Nature-Throid, but it’s the T3 that really makes the difference in a lot of people. I’ve seen people who have been on thyroid medication. They still felt tired. They still weren’t losing weight. Then as soon as we add the T3 to their regimen, it’s like something magical happens and they’re much better so you have to look. If any of you think that you have a problem with your thyroid function, you definitely want to have your doctor do a Free T3, a Free T4 and I like to see the Free T3 and in the high 3s to the low 4s. We can talk about that at another time, but this is informational just to give you what you want to look for. One more thing I want to mention is thyroid antibodies. A lot of us have autoimmune disease and that’s when our immune system starts to attack our own cells, our own tissues. For example, I saw a lady who had thyroid antibodies greater than 1,000. Depending on the lab that you go to, they should be less than 34 for [Quest 00:08:28], less than 9 for a LabCorp lab result. Her thyroid antibodies were greater than a thousand. I said, “Has anybody ever tested that?” that’s an indication that a person has Hashimoto’s thyroiditis. She had been on thyroid medication for 20 years and no one had ever tested. You know if you have one autoimmune disease, you are at risk for others so you really want to make sure that you figure out why the body is attacking itself and address that as well. Nelson: That’s a good point. It’s often misdiagnosed or not even looked at. 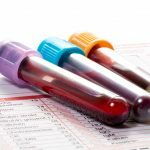 I’ve known a few men that had TSH of 3.8 and their doctor told them, “You’re okay.” They had all the symptoms and they went ahead and some men and women are obviously accessing online blood testing. I have a company called the [inaudible 00:09:21]. They say, “You know, I’m still having all the symptoms. My doctor told me I was okay.” They go in, get their full thyroid panel like you said Free T3, Free T4, and antibodies. I happen to know 2 people that had really high antibodies so they had Hashimoto’s and the doctor had told them that their TSH was fine. If it wasn’t because they took that extra step, obviously, they switched doctors, they might never found out. Lynese: Right. It’s nice that patients have access to be able to get the labs if they get resistance from their physician. Nelson: Yeah. 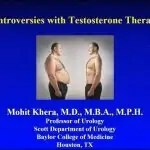 One of them was wondering why testosterone was not working and that was a good reason why. Nelson: We’re starting now with the insulin resistantance issue. Lynese: Right. Insulin resistance is very common these days and it’s a precursor to diabetes, type 2 diabetes. Now, diabetes is the fifth leading cause of death in the United States. It’s a fast growing health issue. I see people who are insulin resistant who never knew that they were. They will tell me, “My blood sugar’s fine,” but they are insulin resistant and wewill go over why we determine or how we determine actually that they are insulin resistant. Let’s go to the next slide. When the glucose level rises after a meal, the pancreas secretes insulin. Insulin is secreted in order to bring glucose into the cells or into the tissues to be utilized as energy. When you eat a sugary or carbohydrate meal, the insulin level is going to rise, but sometimes when we eat too much sugar, then our insulin levels become very, very high and over time, it causes us to not be able to really utilize our insulin properly. In summary, you eat a sugary meal, the insulin level goes up to bring the blood sugar down. Sometimes it overshoots, the glucose gets too low, the person gets irritated, they have low blood sugar. We really got to look at our diet and make sure we’re not challenging our bodies with too much sugar. Too much sugar is probably the main reason why most people have diabetes. It’s a lifestyle issue, really. Nelson: Yeah. We are bombarded with food that contains sugar or hidden sugars. Lynese: Exactly. They say that the standard American diet, it really is sad, but the average American consumes 150 pounds of sugar per year. Isn’t that amazing? Lynese: That’s a lot of sugar. Nelson: Our ancestors never had any need for sugar. Lynese: I know. Then a lot of people are deceived and the food industry really deceives us in that they will say, “Oh, something sugar-free. If they’re sugar-free and it’s sweet, it’s got artificial sweeteners on it. Artificial sweeteners do the same thing with the insulin levels as does sugar, even worse. Actually sugar is even healthier to eat then artificial sweeteners. We don’t look at labels closely enough. Anything that pretty much ends in ose; maltose, dextrose, sucrose, sucralose. That’s what’s in Splenda, but those are not good for us and they lead to insulin resistance. Lynese: Again, I had said earlier that people will come. They’ll say, “My blood sugar is fine. My doctor said it’s fine.” One more point that I’d like to make is, often times I’ll ask patients, do you have a copy of your lab work? “No, the nurse just called and said everything was okay.” What does okay mean? I tell them, “You wouldn’t not get your bank statement. You need to have a copy of your labs. You need to keep a notebook so you can follow trends and see really what’s going on and track what’s going on with your health.” A fasting glucose is not adequate. It is not enough to tell us whether or not a person is at risk for diabetes or if they’re pre-diabetic. Next, I will describe how we diagnose Insulin Resistance. These are conservative ranges but for a normal person, a fasting blood sugar should be less than 100. In pre-diabetes, the fasting blood sugar will between 100 and 125. With diabetes, it’s 126 or higher. That’s not enough. If someone has a fasting glucose of 99, I’m not going to say, “Well, let’s just watch it.” I’m going to be aggressive about doing something about it because even a hundred is too high in my mind. I really like to get the person’s fasting blood sugar below 80. We can look at more than just the fasting blood sugar by looking at what’s called the Hemoglobin A1c. The Hemoglobin A1c gives us an indication of what’s been going on with the patient’s blood sugar over a 90-day period. For a normal person that’s not pre-disposed to diabetes, the A1c will be less than 5.7%. In pre-diabetes, it’ll be 5.7 to 6.4%. In diabetes, it’s 6.5% or higher. If a person’s 5.7%, a lot of doctors will say, “Well, that’s fine. Everything looks good,” but again, I like to have my patient’s lab results in optimal ranges and do something before it becomes a problem. I really actually strive for my patient’s A1c levels to be even in the low 5s to high 4s, although I don’t see that very often because we drink too much alcohol at times. As I said before, we eat processed foods andfast foods. We really want to check more than just the blood sugar. We want to look at the A1c. Another good marker which is not on this chart is the fructosamine. That shows what your blood sugar levels have been over a 2 to 3 week period. Nelson: Tell us a little bit more about that. I know we’re trying to keep the presentation short, but I never really heard about that test. Lynese: For example, you can know you’re having lab work done and eat really well for 2 or 3 days prior to the blood test. You get a deceptively normal looking level of sugar, the blood sugar that’s in your system, but Hemoglobin A1c shows just the glucose that’s on the hemoglobin and we turn red blood cells over every 90 days. It’s not a perfect marker, but it definitely can give us an indication as to how much sugar is on that red blood cell. A similar thing happens with fructosamine but it gives us a shorter window of time as to what that patient’s blood sugar has been like over a 2 to 3 week period. All those are good. Then another thing I want to mention before we go to the next slide, is fasting insulin levels. I like to see the fasting insulin level below 10. There’s a lot of controversy on whether fasting insulin levels are really accurate and reliable, but for example, if I see someone who has a blood sugar of 99 but their fasting insulin level is 59, and I see that all the time, I know that person is putting up a lot of insulin in order to keep that blood sugar low or normal and that mechanism is going to break over time. You’ve got to look at all of those markers and look at what’s going on clinically with the person’s weight, are they weight loss resistant? All that information arms us with what we need to do to help get that patient back to a normal glucose and insulin balance. Nelson: Yeah. What do you think about the glucose tolerance test? Is that too much trouble to go through like a separate sampling after ingesting glucose, they do that curve? Lynese: Right. I think it’s a great test. Patient’s don’t really want to do it, but I think it gives us a lot of good information, so I recommend it from time to time. I don’t do it all the time because if I just see that the person has signs of insulin resistance and their lab work indicates that they have it, I move to the next step and it’s with a medication that you recommend frequently and that’s Metformin. I tend to just treat. I don’t always do a glucose tolerance test, I do very few, but I think it is a great test. Nelson: Great. Thank you so much. Lynese: Next, I will discuss treatment for insulin resistance. The first line of treatment is obviously diet and exercise since earlier we said that diet is one of the major contributing factors to the rise of insulin resistance.. You need a diet that mainly focuses on low glycemic fruits, vegetables and low-fat proteins. Metformin is one of my favorite medications to use and it was originally a botanical, so people get paranoid about using it. They’ll say, “That’s for diabetes.” I’ll tell them that, “We want to prevent you from developing diabetes.” Metformin has so many other benefits other than improving insulin sensitivity. It actually decreases the incidence of a lot of different cancers; breast cancer, prostate cancer, colon cancer, lung cancer, even pancreatic cancer. I use Metformin on a regular basis. That’s one of my first go-to medications to use for insulin resistance. Nelson: There’s actually a large study ongoing right now, funded by the US government to look at Metformin for survival and aging, so it’s encouraging. Even the US, the NIH is looking into Metformin. Hopefully, it’s really good. Lynese: Yeah. I’m excited about that. Believe it or now, people have come to me who don’t have insulin resistance and they are interested in taking Metformin because it’s not going to just drop your blood sugar. It’s just going to improve the way your insulin works. Cancers feed off of sugar and insulin, so getting your glucose balance and insulin balance under control is extremely important. Nelson: I also tell people though that starting Metformin isnot an open door to eating higher sugar foods, you still need to eat a sensible diet. .
Nelson: Like a passport to get you into cheating more often. Lynese: Right. Exactly. Now, let’s talk a little bit about cardiovascular disease because it is a leading cause of death in men and women. It’s primarily due to atherosclerosis which is plaque build-up in the walls of the arteries. What happens is the plaque will cause narrowing in the arteries. It makes it harder for blood to flow through the arteries. A lot of times, a clot can form in the artery which can block the arterial blood flow and that can increase ones risk for a heart attack or stroke. We definitely want to do everything we can do to diagnose cardiovascular disease and treat it and be aggressive about it when we find that a person does have risk factors for cardiovascular disease. The lipid panel is one of the key lab tests used by physicians today to diagnose cardiovascular disease. I’m sure that most people have had their lipid panel done and most people will say to me, “No, my cholesterol is fine. It’s 190,” and “My HDLs are high.” HDL is the healthy cholesterol. The LDLs are the lousy cholesterol. 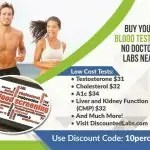 Most people are deceived into believing that because their cholesterol is less than 200 and their HDLs are greater than 60 that they’re okay, but I find with the testing that I do that goes beyond just blood testing, that I have seen people who have cholesterol levels of 385 who have no plaque in their arteries and I’ve seen people who have cholesterol levels of 170 and they have a significant amount of plaque in their arteries. The point here is that Lipid panels scores or cholesterol levels are really a poor indication of whether you’re at risk for cardiovascular disease. It’s a marker and it’s an important one because if it’s high, it helps us to look beyond just that particular result and we look a little bit deeper, but if it’s normal, it doesn’t mean that we don’t need to look for cardiovascular disease risk. Nelson: Good point. We’re talking about fasting lipids, right? Lynese: Fasting. Exactly. Fasting lipid panel, correct. The things that I do in my practice and I’ve been doing this for several years now, we actually have a ultrasound, specialized ultrasound that we measure the plaque formation and the arterial wall thickness. It’s called a CIMT scan, carotid intima-media thickness. It’s an ultrasound that we do here in the office. We look at what’s going on with the arterial wall, is it thickened or not, because that’s an indication of atherosclerosis. We’d look at whether or not there’s any narrowing in the artery. This test tells whether or not there mixed plaque or soft plaque in the arteries. Soft plaque is vulnerable to rupture, so if the person has soft plaque or mixed plaque which is a combination of calcified and soft plaque, we really want to be aggressive with their therapy. We really want to make sure that we eliminate their risk factors for developing heart disease. Other markers that we look at are lab test that go beyond the standard lipid panel. There’s a marker called an Apo B. It’s just an advanced marker. It would take a long time to explain the significance of all of these markers. LP(a), lipoprotein(a), it’s another marker and we can even lower LP(a) by even just giving Niacin. Typically, I’ll give 1,000 milligrams of Niacin. I don’t use the flush free Niacin, I use the Niacin that makes you flush. There’s another marker called the Lp-PLA2. It’s sometimes called a plaque score. That’ll tell us whether a person has arterial inflammation. The fibrinogen level is another marker that increases our risk for clotting. If your fibrinogen level is high and you’re a smoker, you need to stop because that causes the fibrinogen levels to rise even further. If I see an elevated fibrinogen level, I’m going to give a supplement called Nattokinase, Lumbrokinase. There are interventions that we can do to improve this inflammation and increase of propensity to clotting, but we need to know that there’s a problem so we could do something about it. The other thing with LDLs, a person’s LDL cholesterol can be normal, it can be less than a hundred, but what matters is the size of those LDL particles. For example, if a person has a lot of small dense particles, they are more at risk for developing plaque. I explained to everybody that the inside of our artery is like a tennis net. There’s an endothelial lining inside that artery. I’m telling my age now, if you throw a jack ball or a marble up against the tennis net, they can go through the hole and get to the other side. If you have very small LDL particles, they can go through the little hole in that endothelial lining, go to the other side, oxidized in the artery and cause plaque. If you have larger LDL particles, they tend to bounce off that artery and keep flowing. You want larger LDL particles and the small ones are bad, but again, we need to know that they’re there so we know how to proceed with treatment. Nelson: That’s a great analogy. Thank you.